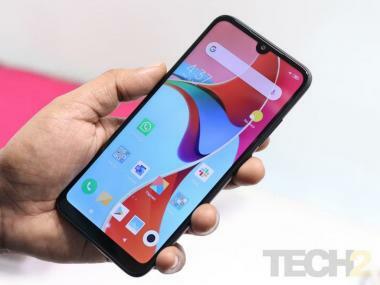 One interesting thing to note, which the company has highlighted on its website, is that this device sports a Dual-SIM along with 3GB RAM under the price point of Rs 10,000. A 'Cobalt Blue' version of the tablet will be available for purchase in offline stores all across the country. The Slide Brisk 4G2 comes with a 7.0-inch HD IPS display with 169.44 PPI pixel density while running on a 64-bit Quad-Core ARM Cortex A53 processor and a Mali-T720 GPU. The tablet sports 3GB RAM, 16GB internal storage where 10.80GB storage can be used by the owner. Brisk 4G2 also sports a microSD card slot to expand the storage up to 32GB in case the user is running low on storage space. The tablet comes along with 4G-enabled Dual-SIM support where the first SIM is normal in size while the second SIM is Micro. The tablet is equipped with a 5MP camera module and LED Flash along with auto-focus on the back along with a 2MP camera module with LED Flash on the front. The package runs Android Marshmallow 6.0 out of the box while being powered by a 3,500mAh Lithium-Polymer battery. The tablet comes with Wi-Fi 802.11 b/g/n, hotspot, Wi-Fi Direct, Bluetooth v4.0, micro USB port, OTG functionality, and 3.5-mm headphone jack in terms of connectivity. It also comes with GPS and gyroscope sensors to improve the feature-set.